A denture is a removable replacement for missing teeth and surrounding tissues. They are called removable false teeth. Usually made of plastic, nylon or metal. 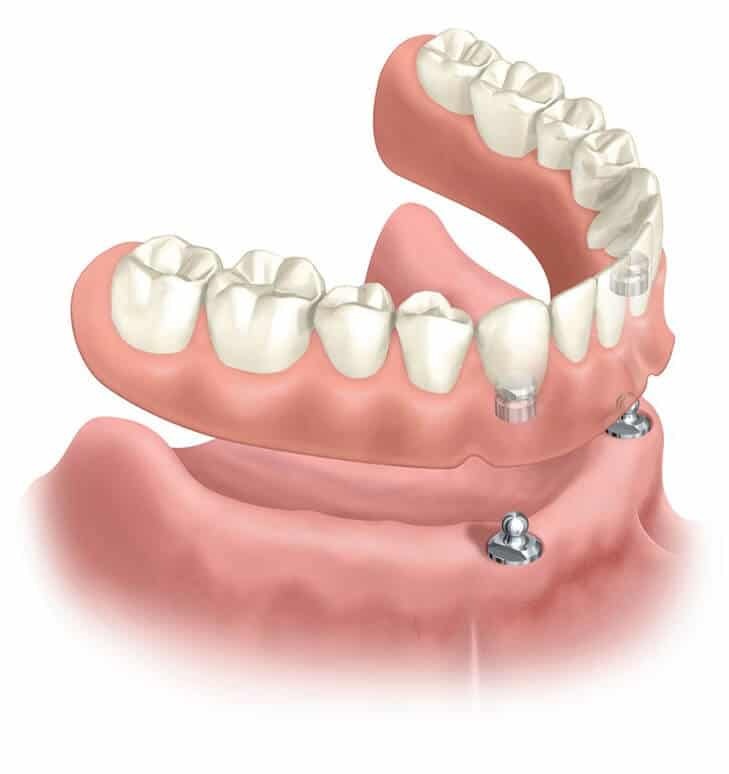 They fit securely over the gums to replace missing teeth and overcome problems caused by gaps. a) Fixes gaps caused by missing teeth. b) Helps improve your smile and facial expressions. c) Helps you speak, eat and chew properly and improves your comfort. d) They are removable and easy to clean and maintain. e) Dentures can replace complete missing teeth or few missing teeth. However, dentures never feel like natural teeth. They often slip away, make you uncomfortable wearing them or break if dropped from a height. 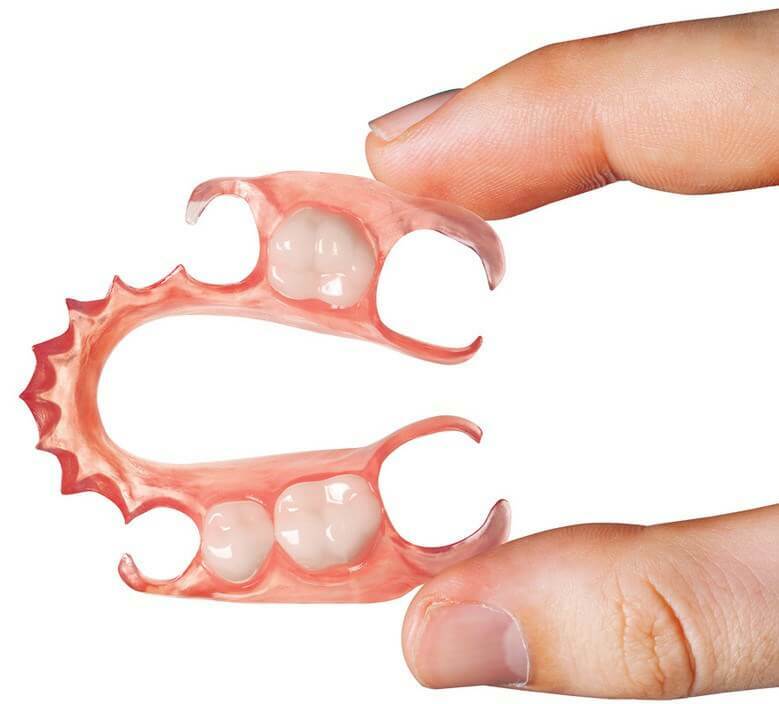 Modern dentures are stronger, more comfortable and overcome some disadvantages of old dentures. It is better to get an Implant supported Fixed Dentures or Full mouth Dental Implants for best comfort. Your doctor will determine, the best treatment option for your missing teeth replacement. If you have the budget and your oral health profile support full mouth dental implants or fixed dentures supported by implants, then your doctor will recommend it. 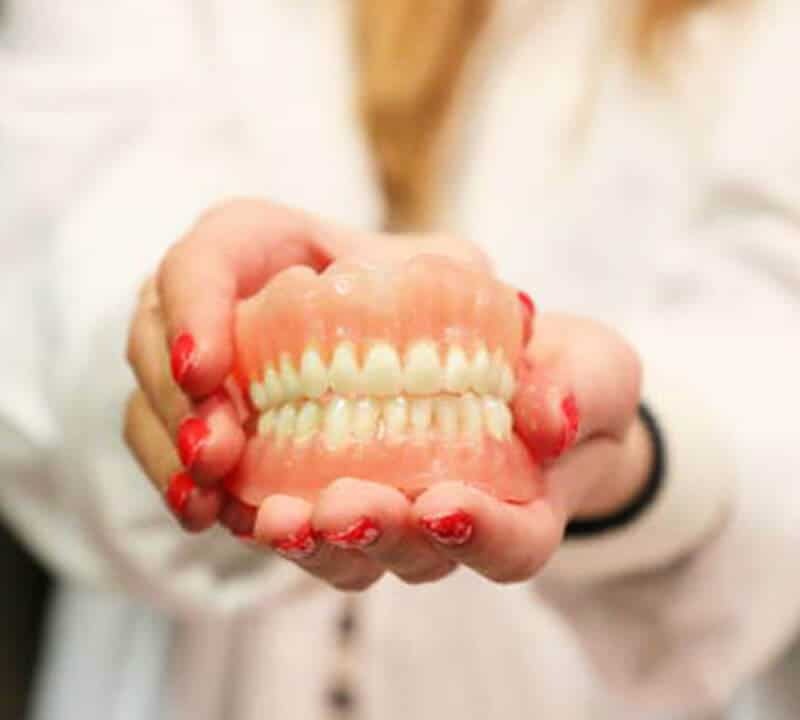 1) Full Dentures: These are used when the patient needs complete set of teeth (upper and lower teeth) and have all damaged teeth are removed or no teeth exist on the jaw line. 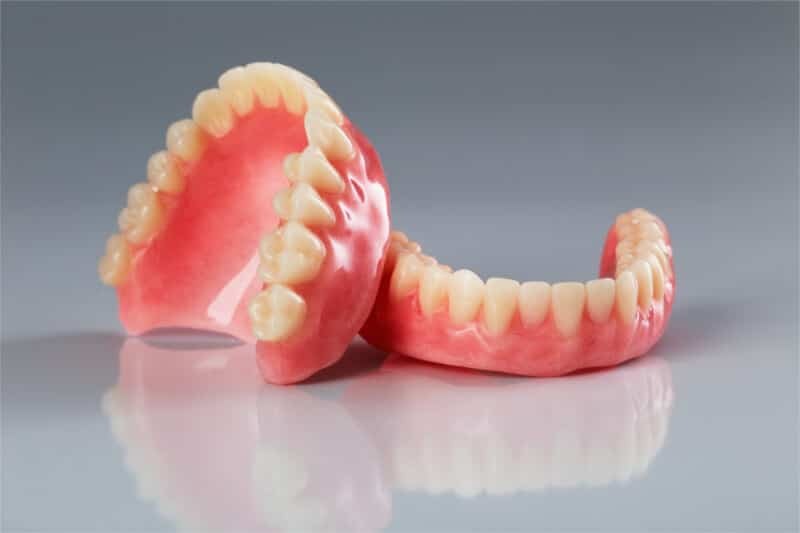 2) Partial Dentures: If one or more missing teeth exist, then partial dentures are used to replace those gaps. These dentures or set could be removed everyday or whenever you want. You can wash them with denture cleaning solution or as suggested / recommended by denture manufacturer. They are flexible to use and they can be used in partial teeth replacement or full teeth (set) replacement. 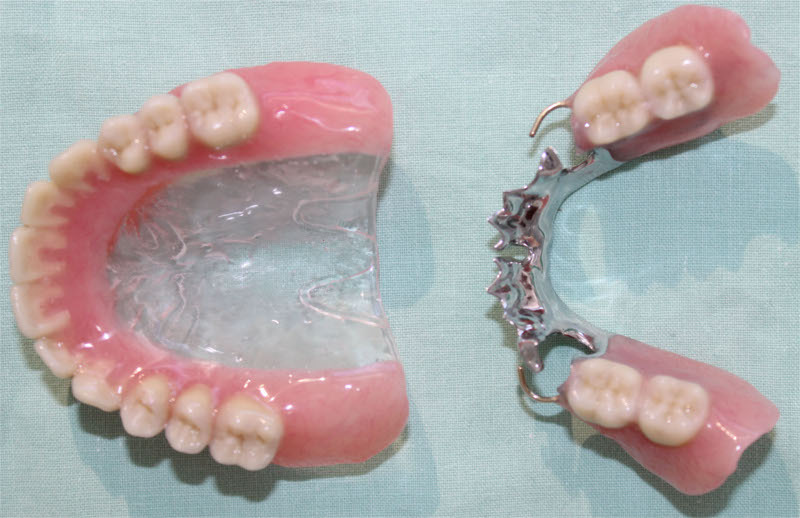 Removable dentures may slip away or feel uncomfortable and prone to breaking if not properly maintained. Patients may feel insecure when using removable dentures until their muscles and tongue gets adjusted to the appliance. They are less close to natural teeth feeling. These dentures cannot be removed like removable dentures. They are mounted over implants. They are more stable, secure and gives complete confidence for the patients. They may take more time for treatment, as the dentist need to fix implants in initial days and then temporary crown, followed by dentures. 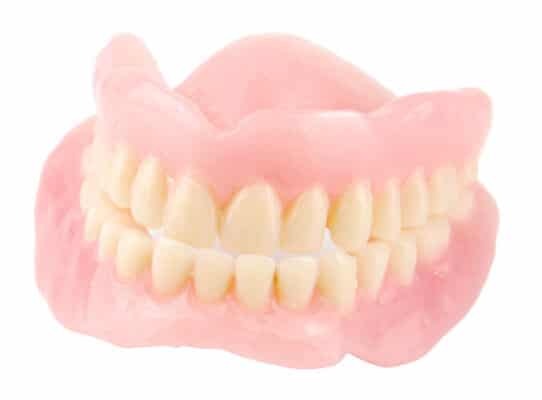 Fixed dentures will not slip out, thus avoiding embarrassment or awkward feeling.They are more close to natural teeth look and helps you speak properly, eat well and smile with confidence. Fixed dentures may chip like flexible dentures, but they could be replaced when worn out. Since periodontal disease can lead to tooth loss, many patients are fitted for dentures. Patients wearing complete dentures should see the dentist once a year to examine all soft tissue areas. Partial dentures require attention to hygiene just like real teeth. They need to be removed and cleaned daily. Wearing dentures continuously and failing to take the proper precautions can promote the growth of mouth fungus (candidal colonization) leading to thrush. Dentures may also be ill-fitting and uncomfortable. This is because the gums of people with diabetes may be especially sensitive. This in turn makes eating, and maintaining good health and proper BG control more difficult. At Sowmya Dental Clinic, our team of doctors have specialized in treating patients with diabetes. We can help you maintain your diabetic dentures properly. Sowmya Dental Clinic, offers best Dentures Treatment in Guntur.